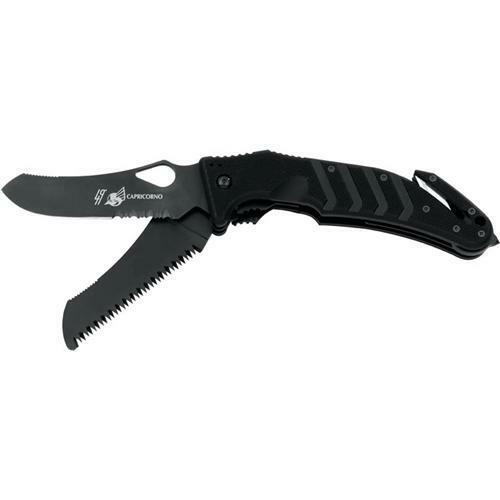 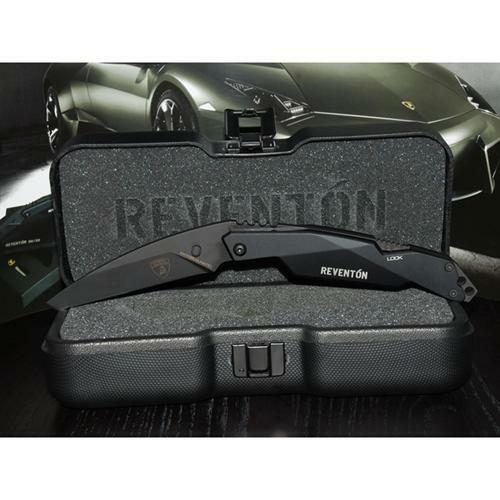 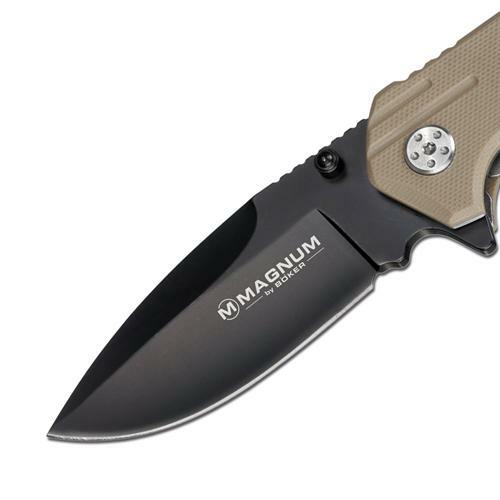 The black-coated blade made of 440 steel securely locks with a liner lock. 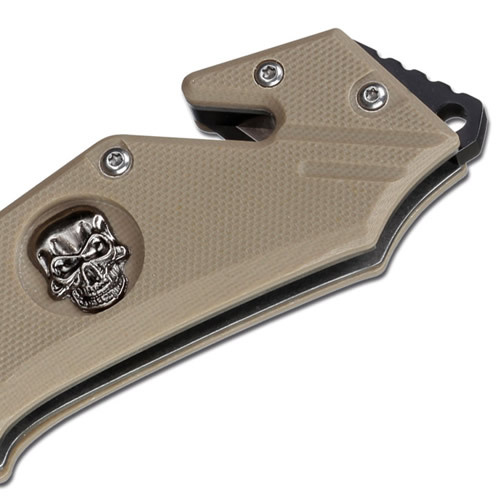 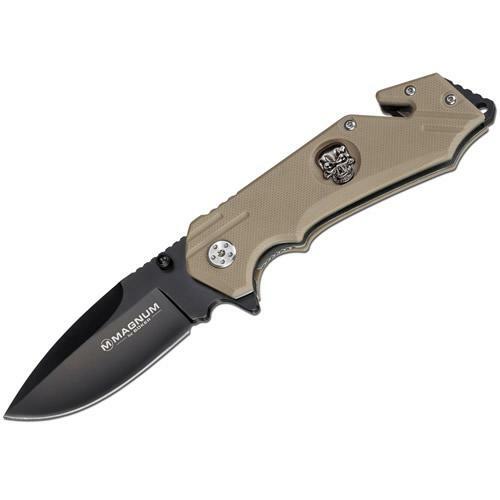 The handle made of sand-colored G-10 is decorated with a three-dimensional sculpted skull. 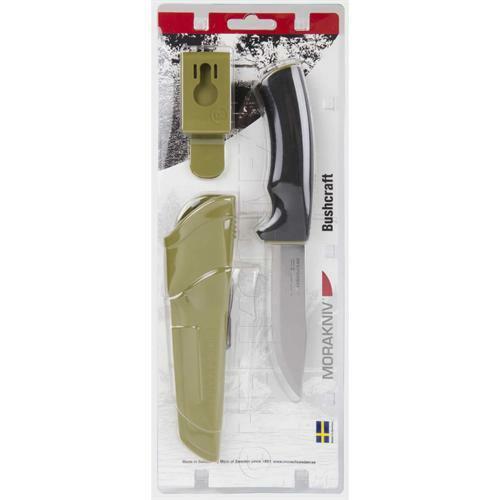 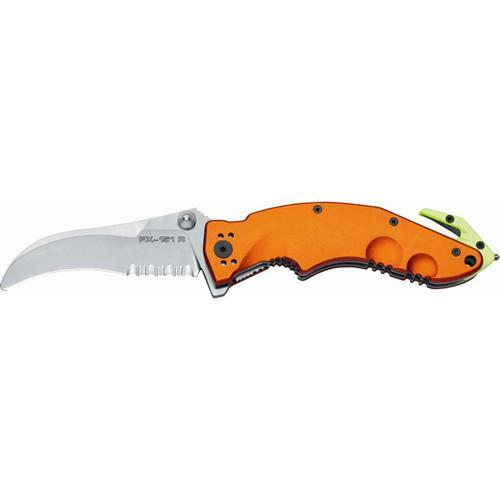 The knife includes a belt cutter and a hammer that can also act as a glass breaker in case of an emergency. 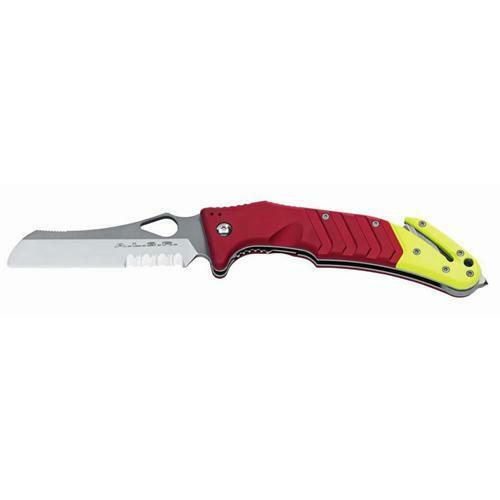 With clip and lanyard hole.